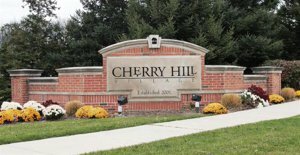 Incorporated in 1945, Cherry Hills Village comprises over 6 square miles in Arapahoe County. Without doubt, Cherry Hills real estate is some of Colorado's most exclusive property. Most of the single family home lots are either one acre, two and a half acres or five acres. The city has a unique history that has helped shape the community into one of the premier low-density communities in the entire State of Colorado. They pride ourselves on their sense of community, quality of life, and unique park and trail systems. Cherry Hills Village hosted the PGA Championships and the U.S. Women's Open Golf Championship in 2005. The famous Arnold Palmer iced tea drink is said to have been created the Cherry Hills Country Club. Worth magazine ranked the city 50th among the 250 richest towns in the United States.